This program is developed through a collaborative partnership between Antidote Education Company and ArcheMedX. This CME activity is supported by an educational grant from Novartis. This program is designed for emergency department physicians and residents, hospitalists and cardiologists involved in the care of patients with acute heart failure. This session is the second in a three part series on providing a clinical update on the management of acute decompensated heart failure (ADHF). In this session Dr. Kirkwood Adams will review a new perspective on AHF and how to determine the correct subset of AHF. He will then share how to manage patients based on the subset of AHF. The panel will discuss how best manage patients with AHF in the emergency department. Dr. William T. Abraham is Professor of Internal Medicine and Chief of the Division of Cardiovascular Medicine at The Ohio State University College of Medicine. Dr. Abraham earned his medical degree from Harvard Medical School in Boston, Massachusetts, following which he completed his residency in Internal Medicine and fellowships in Cardiovascular Disease and Advanced Heart Failure and Transplant Cardiology at the University of Colorado Health Sciences Center. He previously held faculty appointments at the University of Colorado, the University of Cincinnati, and the University of Kentucky. He is board certified in Internal Medicine, Cardiovascular Diseases, and Advanced Heart Failure and Transplant Cardiology. Dr. Abraham spends the majority of his clinical time managing heart failure patients in the inpatient and outpatient settings. Dr. Abraham has been recognized as one of the "Best Doctors in America" for eleven consecutives years and has been ranked among the top 10% of physicians nationally in patient satisfaction. Dr. Abraham's research interests include hemodynamic and neurohormonal mechanisms in heart failure, sleep disordered breathing in heart failure, and clinical drug and device trials in heart failure and cardiac transplantation. Dr. Abraham has received grants from the National Institutes of Health, American College of Cardiology, and Aetna Quality Care Foundation and has participated as a site Principal Investigator in more than 100 multicenter clinical drug and device trials. He has also served as national or international Principal Investigator and on the Executive or Steering Committees of more than 30 multicenter clinical drug and device trials. Dr. Abraham has authored more than 700 original papers, abstracts, book chapters, and review articles. In 2014, he was named to the Thomas Reuters Highly Cited Researchers list.1 Dr. Abraham has co-authored national heart failure practice guidelines and co-edited a leading textbook on heart failure entitled Heart Failure: A Practical Approach to Treatment. Dr. Abraham serves on the editorial boards of several major journals. 1. Highly Cited Researchers 2014 represents some of world's leading scientific minds. Only 3,000 researchers worldwide earned the distinction by writing the greatest numbers of reports officially designated by Essential Science Indicators as Highly Cited Papers—ranking among the top 1% most cited for their subject field and year of publication, earning them the mark of exceptional impact. Dr. Kirkwood F. Adams is Associate Professor of Medicine and Radiology in the Division of Cardiology, University of North Carolina at Chapel Hill, where he founded and for many years directed the UNC Heart Failure Program and served as the first transplant cardiologist for two decades, helping to establish this treatment at UNC. Dr. Adams is currently involved in numerous research activities related to heart failure with particular focus on novel drug development in acute heart failure and translational research concerning the identification and clinical application of cardiovascular biomarkers and pharmacogenomics. Dr. Adams is principal investigator for the US multicenter database, UNITE-HF, which focuses on registries in patients with heart failure. His current research interests are heavily focused on personalized cardiovascular medicine through biomarkers and Omics. He serves on the Executive Committee of the NHLBI sponsored trial GUIDE-IT; studying the use of NT-proBNP to guide therapy for heart failure. Dr. James Januzzi is currently the Roman W. DeSanctis Endowed Distinguished Clinical Scholar in Medicine at the Massachusetts General Hospital and Hutter Family Professor of Medicine at Harvard Medical School. He is also a faculty member at the Harvard Clinical Research Institute. Dr. Januzzi is a researcher, teacher, and active clinician. 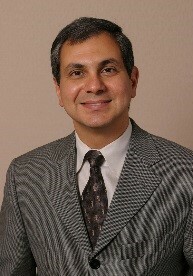 Dr. Januzzi has contributed greatly to the understanding of cardiac biomarker testing, where his work with the natriuretic peptides and troponin has set international standards for use in diagnosis, prognosis, and management of patients suffering from acutely decompensated heart failure, chronic heart failure as well as those with acute coronary syndrome. Dr. Januzzi's research group has also pioneered first-in-human analyses of several novel biomarkers, including two with regulatory approval that are also incorporated into clinical practice guidelines (ST2 and Galectin-3). Additionally, he has performed extensive work in studies of biomarkers in acute kidney injury. Dr. Januzzi has published more than 400 manuscripts, book chapters, and review articles, has edited two text books on cardiac biomarker testing. 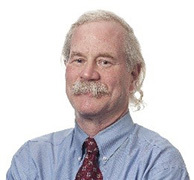 He is on the editorial board of numerous scientific journals, including current service as an Associate Editor at the Journal of the American College of Cardiology: Heart Failure. He was the chairman of the NT-proBNP Consensus Panel, is the lead author of the Heart Failure Section for the Universal Definition of MI Biomarker Task Force, was a section editor and member of the working group for the 2013 ACC/AHA Clinical Practice Guidelines for Heart Failure, and is on the planning committee for the 2015 Heart Failure Society of America meetings. 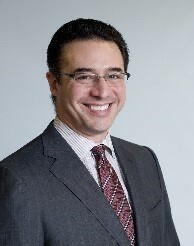 Dr. Januzzi has won numerous awards for teaching, playing an active role for clinical trainees in cardiology and medical house staff at the MGH; additionally, Dr. Januzzi serves as a mentor for cardiology research fellows, directing the Dennis and Marilyn Barry Fellowship in Cardiovascular Research. He is a frequent speaker at scientific meetings on the local, national and international level. He is an active clinician, with a busy consultative cardiology practice, and has been the cardiology consultant to the Boston Red Sox Baseball Club since 2005. 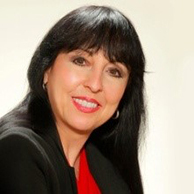 Dr. Ileana L. Piña received her Doctor of Medicine from University of Miami in 1976, followed by an internal medicine residency (University of South Florida) and cardiology fellowship (University of Miami). Between 1982 and 2006, Dr. Piña served as a director at several institutions, in which she initiated cardiopulmonary testing of heart failure patients and established a cardiac rehabilitation program. From 2006 to 2009 she completed a Quality Fellowship at the Cleveland VA and in 2010, obtained a Masters in Public Health. Dr. Piña served as principal investigator in multiple heart failure trials, including PRECISE, ELITE and ATLAS, co-investigator for VEST and Val-HeFT, and served on the DSMB of WARCEF. She is a former member of the Heart Failure Society of America Executive Council and former Chair of NHLBI, via the HF-ACTION study and Clinical Trials Committee. A recent recipient of the prestigious AHA Chairman's Award (November 2013), Dr. Piña continues in her efforts to further AHA's strategic goals. She is currently on the Get With the Guidelines and Target HF committees and the Go Red for Women committee (AHA). In July 2011, Dr. Piña joined Albert Einstein College of Medicine and Montefiore Medical Center as Professor of Medicine and Epidemiology & Population Health, and Vice Chief for Academic Affairs, respectively. Her primary role is to reduce re-admission rates for heart failure patients, as she continues to co-direct the National Heart Failure Training program, a CME activity. To-date, Dr. Piña continues her involvement with the FDA as a consultant for devices. Dr. Fleming serves as Chief Medical Officer of Antidote Education Company. He is a Clinical Associate Professor of Family Medicine at LSU Health Science Center in Shreveport, and Clinical Assistant Professor of Family and Community Medicine at Tulane University School of Medicine. Dr. Fleming has more than 29 years of medical field experience and is past President of the American Academy of Family Physicians and the Louisiana Academy of Family Physicians; and was founding President of the Louisiana Health Care Quality Forum. Dr. Fleming also is chief medical officer for Amedisys Home Health Services. Antidote Education Company is accredited by the Accreditation Council for Continuing Medical Education (ACCME) to provide continuing medical education for physicians. Antidote designates this enduring activity for a maximum of 0.75 AMA PRA Category 1 Credit™. Physicians should only claim credit commensurate with the extent of their participation in the activity. AAPA: AAPA accepts certificates of participation for educational activities certified for AMA PRA Category 1 Credit™ from organizations accredited by ACCME. Physician assistants may receive a maximum of 0.75 hours of Category I credit for completing this program. AANP: This program is approved for 0.75 contact hour(s) of continuing education by the American Association of Nurse Practitioners. Program ID 1502080. This program was planned in accordance with AANP CE Standards and Policies and AANP Commercial Support Standards. All Antidote staff members and others involved in the planning, development and review of the content of this activity have no relevant conflicts of interest to disclose. A statement of credit will be issued automatically upon receipt of a completed activity evaluation form and a completed post-test with a score of 70% or better. You will have 3 opportunities to successfully complete the post-test. After completing the course evaluation click the link you are presented with to return to claim your statement of credit. This site is best viewed with an HTML5 compatible browser, this list includes the current versions of Mircrosoft Internet Explorer, Mozilla Firefox, Google Chrome, and Apple's Safari. You can visit the independent (3rd party) site www.whatismybrowser.com to determine if you have the latest version of your browser. Certain educational activities may require additional software to view multimedia, presentation, or printable versions of their content. That software may be: Adobe Flash, Apple Quicktime, Adobe Acrobat, Microsoft Powerpoint, Windows Media Player, and Real Networks Real One Player. Where such software is required it will be indicated. All faculty have indicated that this enduring material does not include the off-label/investigational use of a commercial product or device. The material presented in this course is being made available by Antidote Education Company and ArcheMedX for educational purposes only. This material is not intended to represent the best or only methods or procedures appropriate for the medical situations discussed, but rather is intended to present an approach, view, statement or opinion of the faculty which may be helpful to others who face similar situations. Opinions expressed in this activity are those of the faculty and not of Antidote.